The ultimate foodie chalet with professional chefs. Le Chalet du Rassel stands alone in 10 acres of its own farm land near the pretty town of St Foy in the Tarentaise Valley. The situation of the chalet gives it a unique flavour and add fact it was once a former brewery dating back to the 1880s, you soon understand how it lends itself to the 'Alpine Culture' name. The chalet sits above the trees, with stunning views of the imposing mountains and local ski areas. It is the location that makes the Chalet really special. The ability to pick from ski 5 major resorts each day depending on the conditions means you get the ultimate skiing experience. 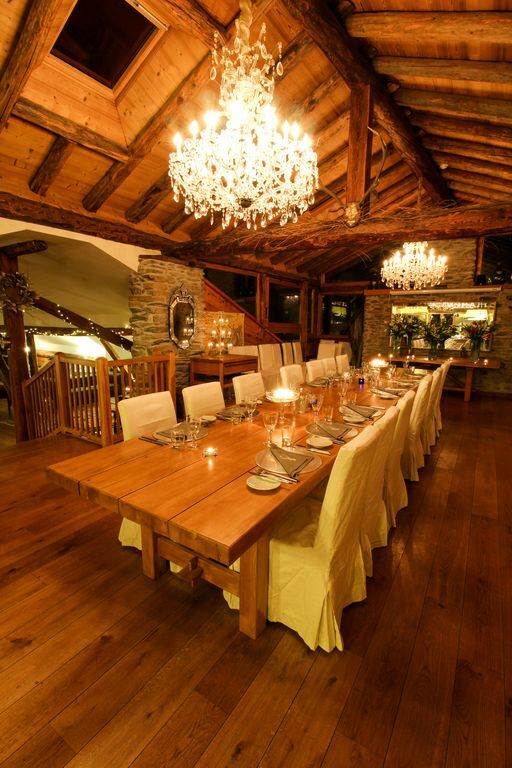 The contemporary décor throughout the chalet has been arranged in a thoughtful and comfortable manner. The spacious upstairs living area, with open log fire, allows you to relax after a hard day's skiing. Adjoining this is the dining room area, seating up to 20 guests for both the breakfast and the 4-course dinner, which is included in the price. The en-suite bedrooms are individually decorated in a warm, sophisticated style allowing for both comfort and practicality. Throughout all the rooms there is reclaimed wood and intricate furnishings to allow the sense of luxury, as well as providing the alpine touch. There is also a a sauna and massage room for treatments by the local masseuse. In-house ski hire service, equipment fitting. We also rent the chalet in the summer for special events such as biking holidays, Yoga and mediation retreats and car rallys. Contact us for more information and special rates. Its location means you are able to ski a different resort each day. Take advantage of our free transfers to each resort and are staff that will show you around the mountain.